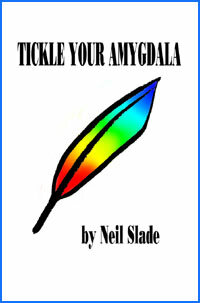 The question has been raised: Why the writings/web site by Neil Slade, teacher, musician, author? We each have our job. Perhaps T.D. Lingo's main job was to do the original research. Mine: to translate it into terms most can understand. Lingo had a non-conventional humor and wit, and style of writing which unfortunately seemed to be a major obstruction to wide acceptance of his ideas. He was his own worst enemy in this regard. For those of us who could get beyond this eccentricity, there was pure genius and without doubt an extremely wonderful, generous, and intelligent person...... the most interesting person I shall ever know in this lifetime. 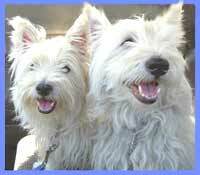 My books were written after his, with Lingo giving me a good amount of input and complete approval. My own observation, after spending 11 years with Lingo, including the formation and organization of study groups in the Denver area, was that for many people, his writing and instructions were too convoluted. So, my streamlined manuscripts cut right to the chase. I think I found solutions to a problem which plagued Lingo until the end- how to make the message understandable by a mass audience. 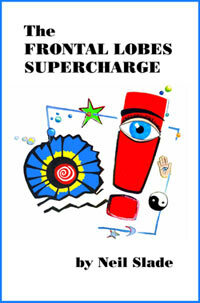 Thus, The Frontal Lobes Supercharge, Tickle Your Amygdala, Brain Magic 2/Creativity From Another Dimension, Brain Tuning, Secret of the Dormant Brain Lab and The Book of Wands 1,2,3, 4, Cosmic Conversations, and Have Fun Anti-Rules. 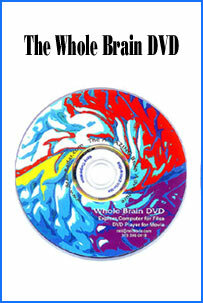 These manuscripts are an easier and faster avenue to the core message of Lingo's 35 years of practical behavioral brain research. Once one has gotten the grasp of this basic information, then one may better utilize Lingo's own writings, like The Self Transcendence Workbook, very hard for some to comprehend at first, but quite useful after one is comfortable with the basic concepts. Back to Neil Slade's Amazing Music Adventure.